There are many types of truck driving jobs. Your responsibilities and pay will vary greatly depending upon which type of job and trucking company you choose. Explore the different possibilities before you decide which option you take. It might affect the company you choose to start with. 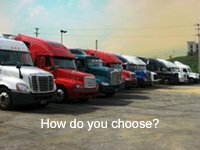 Question: Which is the best type of trucking job to start with? Answer: The one you're most suited for. You'll find that your location, situation, risk tolerance and experience will all affect the options available and your choices from those options. For Example: As a new driver, likely you can't run local yet. You might want the most money but that's specialized. You can't start with oversized but you can go to the oilfied. However, the oilfield may be a long way from where you live! lol. Danger, inconvenience and responsibility means more $! Or you might want exercise, that would be moving company or stick hauling! Which you can do as a new driver. There's so many options. Please Comment or Ask questions at the bottom of the page! As a new driver, your choices will be limited. But what you can do is plan now for the future! The most common trucking jobs for new drivers are dry van, refrigerated, flatbed and tanker. Now because of the oil boom you can even start in the oil field. So keep reading to get an idea of what you would like to have as a goal and plan your journey according. Consider going to a trucking company that offers the types of trucking jobs that you ultimately want. You'll find them at the page linked to with more information. As an experienced driver, sky's the limit! Specialized types of truck driving jobs pays more because it there is more work, more responsibility and could be a higher level of danger. In the picture is a Oversized load. I have driven doubles from coast to coast for a few months in a team operation. Then I went to O/O pulling dry van OTR. I also did stick hauling. Don't worry, you'll learn about these and more below! Most of my driving has been regular dry van but specializing in furniture transport. They key is looking into what each type of truck driving jobs involve doing in order to determine where you want to eventually end up. Furniture transport for example is demanding and dirty. You unload a truck load of furniture at multiple stops. The money is awesome though. A lot of drivers don't want to do this. But if you want to find a trucking job that helps you stay in shape and pays you better than average, furniture transport may interest you. Pulling a Dry Van - This is the most common type of trucking job for new drivers. Usually a 53ft trailer to haul dry or none perishable goods. Since these jobs are the easier to get and require the least from the driver they are also the lowest paying trucking job. (Generally speaking) Depending on what you are hauling in those dry vans which might be determined by the type of company you work for down the road. Again, as far as new drivers, you will likely be hired to pull regular freight over the road in these trailers. Pulling Reefer or Hauling Refrigerated Freight - These are the units that you see with the air conditioner at the front of the trailer. 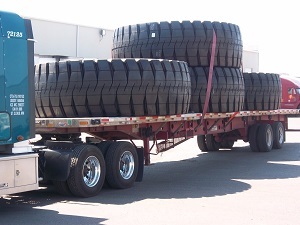 They haul freight that must be kept at or below specific temperatures sometimes frozen or even below frozen. This adds an extra level of responsibility and an extra level of pay! Freight haulers 'Freight haulers' is a broad umbrella term that you will hear used often by truckers who are not regular freight haulers. For instance a bull hauler may refer to a driver pulling refer or dry van as a freight hauler. Technically we all are freight haulers, but technically doesn't really matter. What matters is that you know what is implied when the term is used. For more info click on the link. 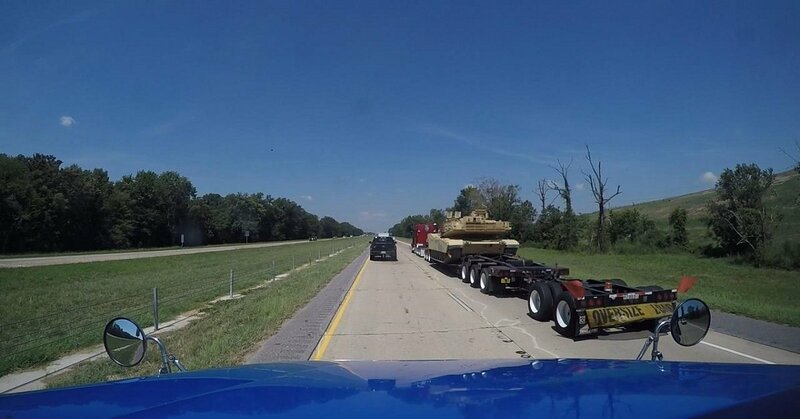 Hauling Flat Bed Loads - They are the guys you see hauling anything from airplanes to scaffolding for construction to tanks for the military.They can also haul oversize and other freight that is just not suitable for loading inside of a trailer. The loads needed to be secured more cautiously and sometimes tarped in inclement weather. More work, more pay with this trucking job. Tankers - Tankers are used mostly to haul liquids. These guys haul anything from the gasoline you use everyday to the milk you buy in the grocery store. They also haul chemicals and gases which may be highly explosive. Special training is required because it is easy to turn over hauling liquid as the center of gravity changes. What many people don't realize is that tankers are also used to haul dry bulk products like sugar and cement. Auto haulers / Car haulers - Pretty self explanatory. You've seen the special trailers loaded up with all types of vehicles. They may be transporting from a port or an auction to your local lots. A lot of responsibility and of course more pay. Household Movers - Bed Buggers - Van Lines - These are the guys who haul the furniture away when you need to get out of dodge. Ok relocate or move. Hard work (good exercise) and great pay. I have heard long term guys talk about wear and tear on your body. On the flip side I have seen some older cats who looks like they are in great shape and younger than you would guess. Do a test....go up to couple of Van Lines crews and find the oldest looking guy and ask how old he is. If he is over 50, I be he won't look it! Container Haulers - These are the metal containers that you also see going across the country on train cars. These guys usually pick their containers up from ports and take them to distribution points or from terminal to terminal or another port. Anything you can imagine being imported may be in these containers. Lol, and who knows what else! Check out the funny container video. LTL Frieght Drivers - In these types of truck driving jobs the driver carries less than a truckload which means multiple stops of just a few pieces, not a trailer barely loaded. These guys usually have to unload the freight themselves. Class B Drivers - These jobs don't require a class A. Many of them pay hourly from $8 or $10 and up. They pay less but are usually your easiest to find local job. They higher paying Class B jobs are a little harder to get and could vary greatly. There are straight trucks, buses, tow trucks and other vehicles that you could drive with a Class B. Dedicated Drivers - - Dedicated trucking jobs could get you back home more often if you life in the right location. They vary greatly depending on what type of company has the position available. You could be dedicated to a customer or delivery location. It could be a single route or a route that alternates weekly. And the variety doesn't stop there. Local Driving Jobs - This type of trucking job usually pays by the hour and the driver spends his or her night at home. A lot of these jobs do require long work days. You may leave before your family gets up in the morning and get home after they are asleep at night. Yes, I know, probably not exactly what you had in mind for a local trucking job. Regional Jobs - Truckers driving regionally usually go out 2 or 3 states from their local terminal. If their local terminal is at home then they usually get home after being out every 2 or 3 days. OTR Trucking - Also known as over the road drivers are usually away from home as much as 2 or 5 weeks. (sometimes more, sometimes less depends on the company you work with.) They go cross country from one location to another. This is an umbrella term which includes driving many types of equipment. Almost any of the other types of trucking job can be OTR or over the road as opposed to local, regional, dedicated. Team Driving Jobs - - These types of truck driving jobs require you to have faith in another persons driving ability while you sleep. As you can imagine it can be frustrating. However, team driving can be the solution to people who finds themselves lonely driving by themselves. Team drivers can make more money as a team if both people have equal ability at staying awake and driving no matter what time their shift happens to occur. Teams work best if the 2 drivers have compatible personalities and driving abilities. Pulling Hoppers/ Hauling Grain - Hauling grain is usually done with hopper trailers for easy dumping. It takes training beyond what it would take to pull a dry van so I call it a specialize area. I don't know a lot about hauling grain or pulling hoppers but Steve O has said he would enlighten us with his short early experience with pulling a hopper.It really sounded interesting and dirty! Oilfield Trucking Jobs - These jobs are of course at some point linked to oil fields. Some jobs go from oilfield to oilfield, others will have you hauling equipment from equipment places to oilfields. Of course you will also go from oilfield to refineries. Most companies that do this type of work specialize in oilfield work. Other trucking companies may just have a division to service the oilfields. Heavy Equipment Hauler - trucking is tough enough driving regular freight but if you want more money, more challenge, and more responsibility hauling heavy equipment is one way to do it. It's kind of self explanatory what you will be doing! 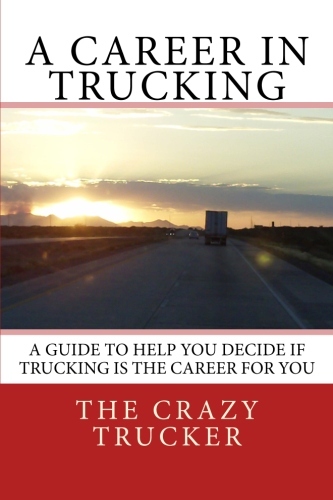 (yes this is the same as pulling a low boy, I listed it both ways so it would not be missed by someone searching for the job in the other way) Make sure you are up for doing what the description calls for when you are deciding on the type of truck driving job you want. Remember though that most of the specialized jobs like hauling liquid naturally require a little experience first. Now in addition to deciding on the type of truck driving job you want or what you want, when choosing a company you will need to know if you are interested in company driver jobs or owner operator jobs. After you explore the different types of trucking jobs make sure to visit choosing a trucking company or CDL training options. 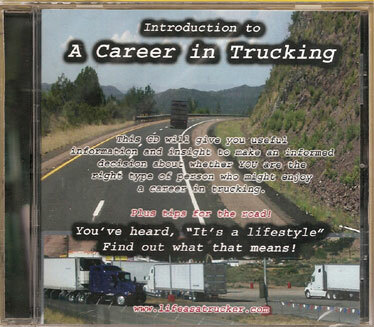 No time to read, learn about the trucking lifestyle on CD.